So You Think You're Smarter Than A CIA Agent : Parallels When 3,000 average citizens were asked to forecast global events, some consistently made predictions that turned out to be more accurate than those made with classified intelligence. A group of 3,000 ordinary citizens, armed with nothing more than an Internet connection, is often making better forecasts of global events than CIA analysts. 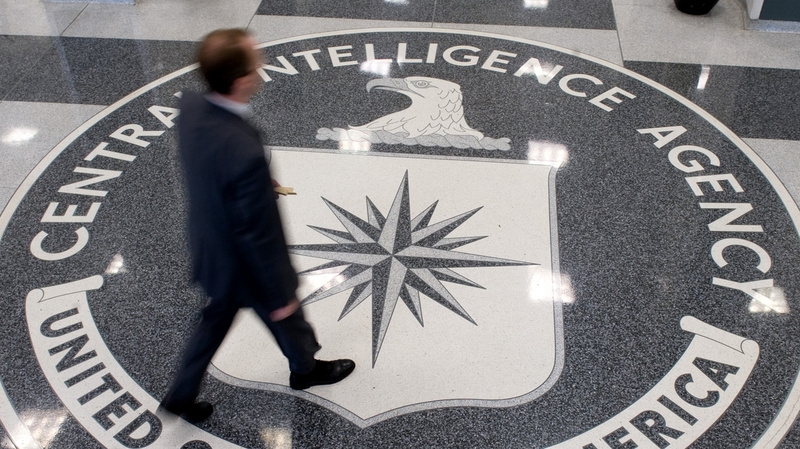 Here, a man crosses the CIA logo at its headquarters in Langley, Va.
"I'm just a pharmacist," she said. "Nobody cares about me, nobody knows my name, I don't have a professional reputation at stake. And it's this anonymity which actually gives me freedom to make true forecasts." Rich does make true forecasts; she is curiously good at predicting future world events. For the past three years, Rich and 3,000 other average people have been quietly making probability estimates about everything from Venezuelan gas subsidies to North Korean politics as part of the Good Judgment Project, an experiment put together by three well-known psychologists and some people inside the intelligence community. 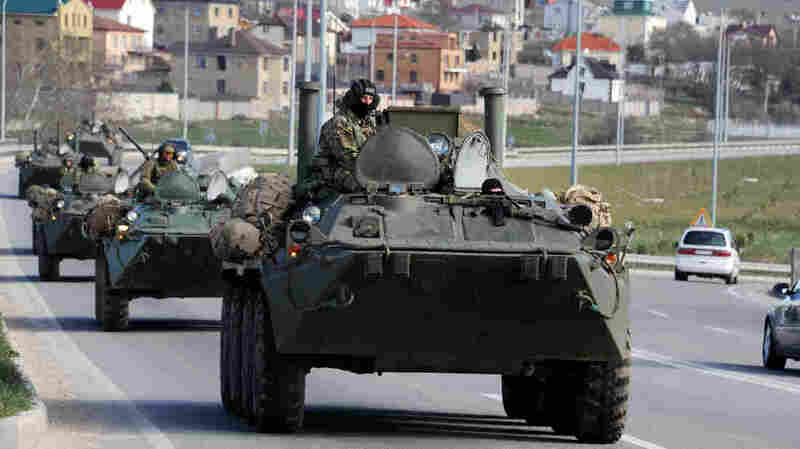 Russian armored vehicles drive on a road in Crimea on March 17. Members of the Good Judgment Project are asked about the likelihood of world events such as Russia's recent annexation of Crimea. When Rich, who is in her 60s, first heard about the experiment, she didn't think she would be especially good at predicting world events. She didn't know a lot about international affairs, and she hadn't taken much math in school. But she signed up, got a little training in how to estimate probabilities from the people running the program, and then was given access to a website that listed dozens of carefully worded questions on events of interest to the intelligence community, along with a place for her to enter her numerical estimate of their likelihood. "The first two years I did this, all you do is choose numbers," she told me. "You don't have to say anything about what you're thinking, you don't have to justify your numbers. You just choose numbers and then see how your numbers work out." Rich's numbers worked out incredibly well. Will there be a significant attack on Israeli territory before May 10, 2014? In fact, she's so good she's been put on a special team with other superforecasters whose predictions are reportedly 30 percent better than intelligence officers with access to actual classified information. Rich and her teammates are that good even though all the information they use to make their predictions is available to anyone with access to the Internet. When I asked if she goes to obscure Internet sources, she shook her head no. "Usually I just do a Google search," she said. 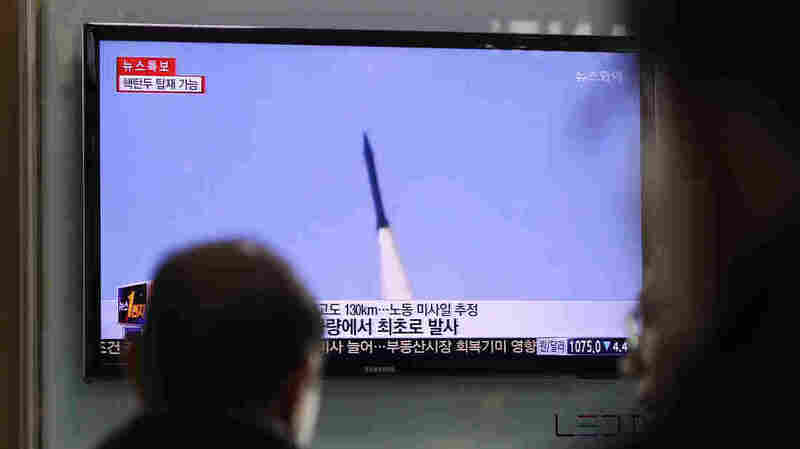 A person in Seoul, South Korea, watches a television report on a North Korean missile launch on March 26. 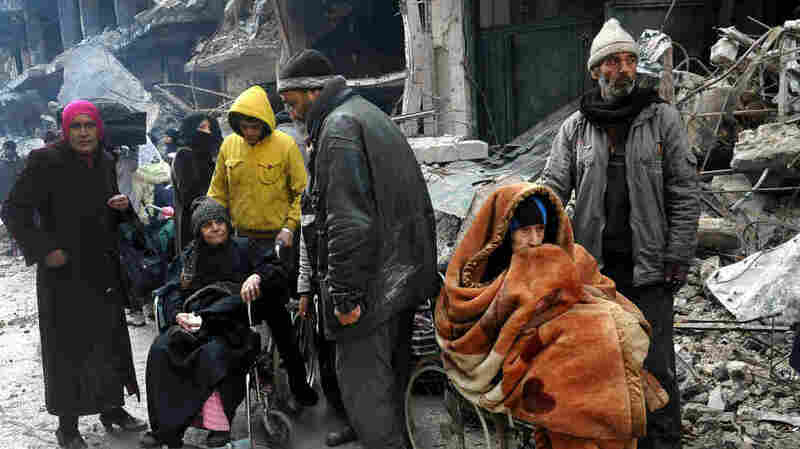 In the U.S., some participants in the Good Judgment Project are proving far more accurate than intelligence analysts in predicting such events. How is it possible that a group of average citizens doing Google searches in their suburban town homes can outpredict members of the United States intelligence community with access to classified information? "Everyone has been surprised by these outcomes," said Philip Tetlock, one of the three psychologists who came up with the idea for the Good Judgment Project. The other two are Barbara Mellers and Don Moore. For most of his professional career, Tetlock studied the problems associated with expert decision making. His book Expert Political Judgment is considered a classic, and almost everyone in the business of thinking about judgment speaks of it with unqualified awe. All of his studies brought Tetlock to at least two important conclusions. First, if you want people to get better at making predictions, you need to keep score of how accurate their predictions turn out to be, so they have concrete feedback. But also, if you take a large crowd of different people with access to different information and pool their predictions, you will be in much better shape than if you rely on a single very smart person, or even a small group of very smart people. "The wisdom of crowds is a very important part of this project, and it's an important driver of accuracy," Tetlock said. The wisdom of crowds is a concept first discovered by the British statistician Francis Galton in 1906. The dead ox weighed 1,198 pounds. The crowd's average: 1,197. "There's a lot of noise, a lot of statistical random variation," Tetlock said. "But it's random variation around a signal, a true signal, and when you add all of the random variation on each side of the true signal together, you get closer to the true signal." In other words, there are errors on every side of the mark, but there is a truth at the center that people are responding to, and if you average a large number of predictions together, the errors will end up canceling each other out, and you are left with a more accurate guess. That is the wisdom of the crowd. The point of the Good Judgment Project was to figure out if what was true for the dead ox is true for world events as well. 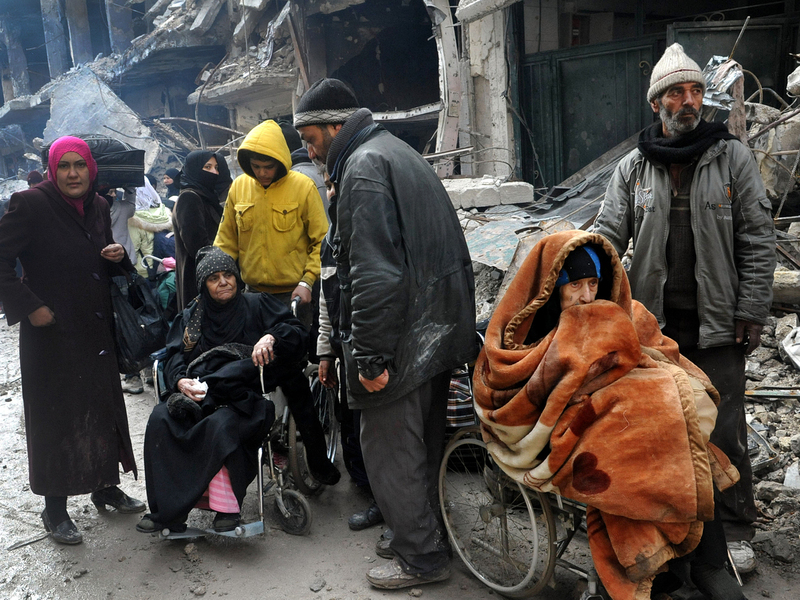 Palestinian residents of the besieged Yarmouk refugee camp wait to receive aid supplies from the United Nations on the southern edge of Damascus, Syria, on Feb. 4. In fact, Tetlock and his team have even engineered ways to significantly improve the wisdom of the crowd — all of which greatly surprised Jason Matheny, one of the people in the intelligence community who got the experiment started. "They've shown that you can significantly improve the accuracy of geopolitical forecasts, compared to methods that had been the state of the art before this project started," he said. In a couple of weeks, the Good Judgment Project will start recruiting more forecasters for its experiment, and Elaine Rich, the suburban Maryland pharmacist, thinks more people like her should give it a shot. "Health care people are not likely to be involved in international forecasting," she said. "But I have a feeling that many of them would be good at it."